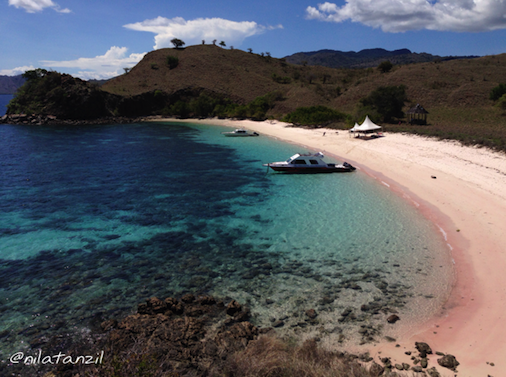 Komodo National Park was listed as the one of the New 7 Wonders of Nature in the world. Why is it so unique? 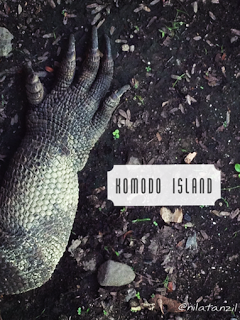 Despite the rich biodiversity, Komodo National Park is the original habitat of the endangered species of komodo dragons. One could see the komodo dragons in the wild on Komodo Island and Rinca Island, which are part of the Komodo National Park. 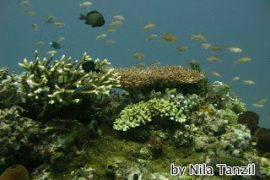 Not only that, Komodo National Park is one of the best dive sites on this planet. 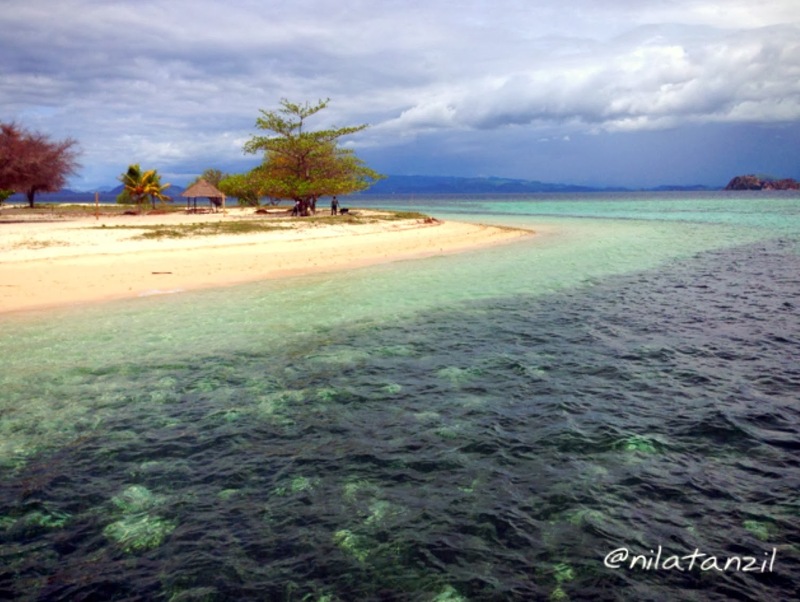 It has more than 1,500 species of fish and a home to different types of hard & soft corals. 90% of my visits to this park, I see a group of dolphins jumping happily in the sea. Not only that, I’ve also seen two blue whales here, after one of my dives. It’s definitely an amazing place to visit. 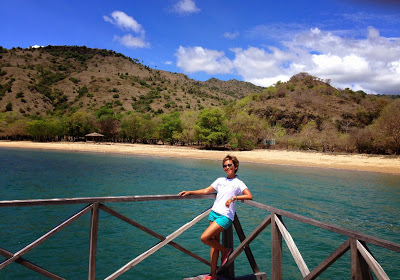 What to do in Komodo National Park? You gotta do this. 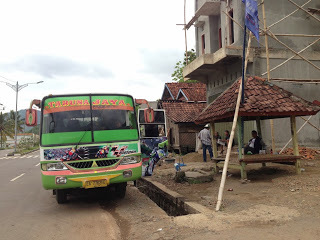 One could either do it at “Loh Buaya” on Rinca Island or at “Loh Liang” on Komodo Island. There’s no way you’re gonna miss komodo dragons sightings if you visit Rinca Island. Five minutes after walk out of the registration desk on Rinca Island, you’ll see several komodo dragons laying on the ground, looking lazy. These dragons always hangout around the kitchen area, because they love the smell of the meat that is being cooked by the rangers. There are 3 options for trekking. One could choose short, medium or long trek. 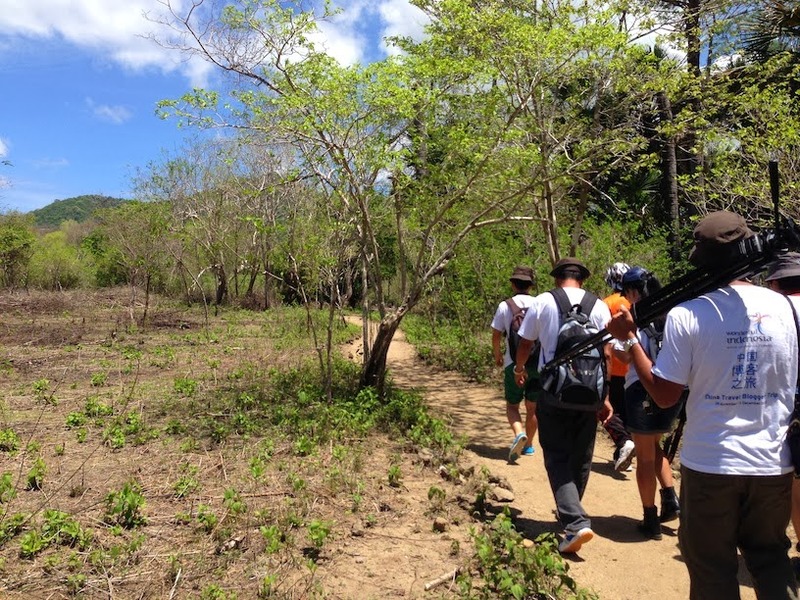 If you’re not a big fan of trekking, then I would suggest to choose the medium trek on Rinca Island. With the medium trek, you would pass the komodo dragons’ nest, and walk up the hill and enjoy the gorgeous view of the savana. It really makes you feel like you’re in the Jurassic Park movie somehow. During the trekking, you’ll see some deers walking in the jungle, birds, wild roosters, etc. If you’re lucky, you’ll also see a flying gecko. They look weird, but I think they’re pretty cool! The China Travel Bloggers group did both trekking on Rinca and Komodo Islands, on two consecutive days. 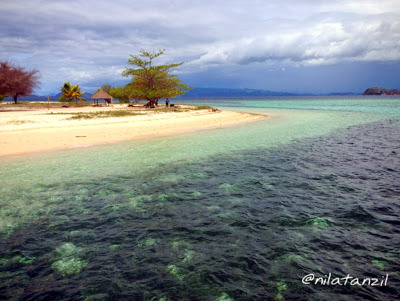 On the first day, we did Rinca Island, continued by snorkelling on Kanawa Island. With its long white sandy beach and some beachfront huts, Kanawa Island was a perfect place for a little snooze in the hot sunny day. Snorkelers would be spoiled by the numbers of star fish here :). And to my surprise, Pan Pan now could swim!!! Whoaaa!!! She was so happy and wouldn’t leave the sea for the world given the fact that now she could float and swim. Well done, Pan Pan. I was so proud of her. It took a courage for someone who couldn’t swim to snorkel in the sea. 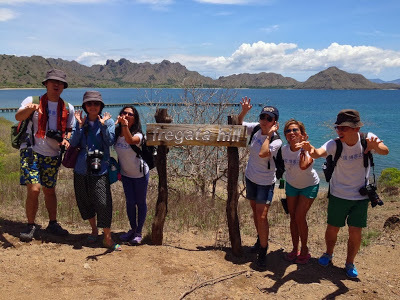 The next day, we walked up the hill of Komodo Island to Fregata Hill. It was pretty breezy that day, so even though the sun was shining so bright, the heat was bearable. Once we reached the Fregata Hill, everyone took their cameras out and snapped some pictures. 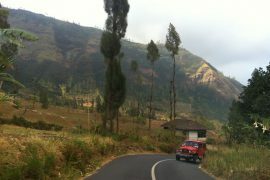 Beautiful landscape all around. And I was so proud to be Indonesian :). 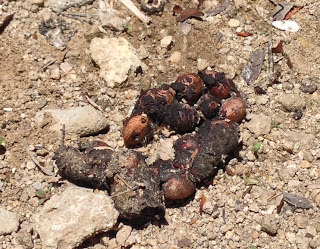 And guess what we found on the ground? Luwak Coffee!!! Check this out. 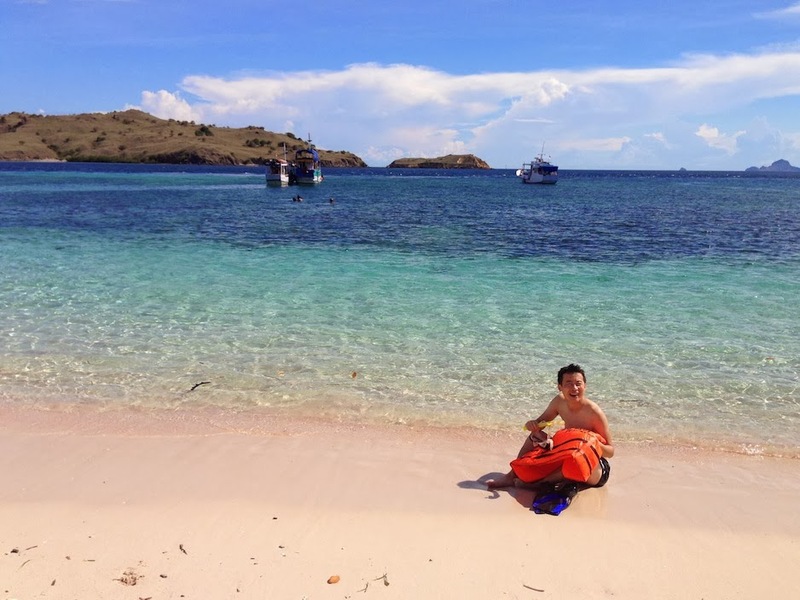 For the travel bloggers from China, visiting Komodo Island was their favourite part of the trip. As Fan said, “I’ve been to Java Island twice and I liked it. This is the first time I’ve been to this area (Flores) and it’s very interesting. The animals are unique. And, it’s a quiet place, not too commercial. Not many people come here unlike in Thailand, for example. The beaches in Thailand are so packed and crowded. But not here. I’m very surprised. But that’s what make this place special”. After a two hours of trekking, we finally got a chance to cool ourselves off on… Pink Beach!!! Yeaaahhh!!! Pink Beach was my favourite beach on this planet so far. The sand was as soft as powder and most importantly… it’s pink! Yes. Pink. Cute, aight? Pink Beach never fails me. Seriously. I still remember back in 2009 when I worked in Labuan Bajo, every time I passed Pink Beach, there was no one there. Now, the beach was still considered quiet, but you’d see at least 1 boat parked around the beach to drop off the tourists who wanted to swim and snorkel here. Having said that, PInk Beach was still my favourite beach until now and even though I’ve been here uncountable times, I’m never get tired of it and still amaze of its beauty. The corals in Pink Beach were gorgeous. So many colourful soft corals and there were lots of different types of fish, naming from butterfly fish, angel fish, sword fish, anemone fish, turtles, and many more. Amazing marine life and one could see all of these only by snorkelling! We had a little picnic on PInk Beach, eating our lunch there and jumped off to the sea again. What a life! – Bring some sunblock/lotion to protect your skin. You might get burn easily here. – Don’t forget to bring your sunglasses. – All stripes from your bags shouldn’t be tangling, because they will attract komodo dragons’ attention. – Don’t bring any meat in your bag unless you want komodo dragons to chase you. – Never walk alone. You always have to be accompanied by the park ranger(s). – Wear comfortable shoes/sandals for trekking. – Bring a bottle of water, you might need it during the trekking. – Don’t take anything from any places you visit, such as: the sand from the Pink Beach or shells from Pink Beach. It’s a national park. Take nothing but pictures, leave nothing but footprints. Next articleBali: from Water Sports, Kecak Dance to Monkey Forest.